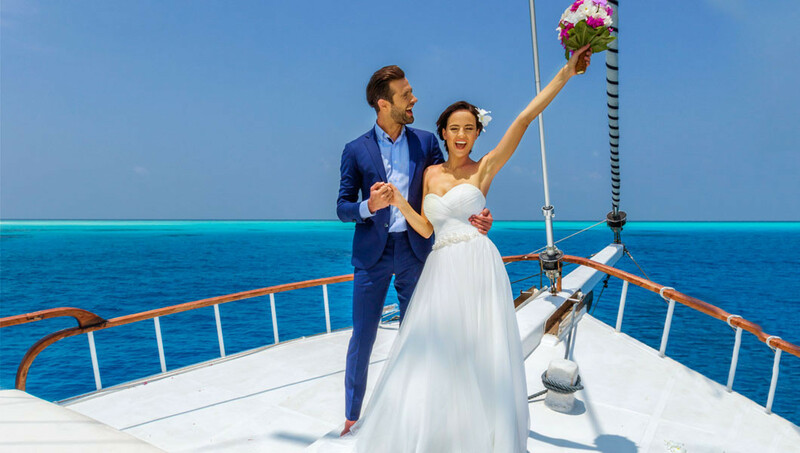 “Something old, something new, something borrowed, something blue” – the last portion, at least, is easy to come by with an island wedding at Hurawahli Maldives. 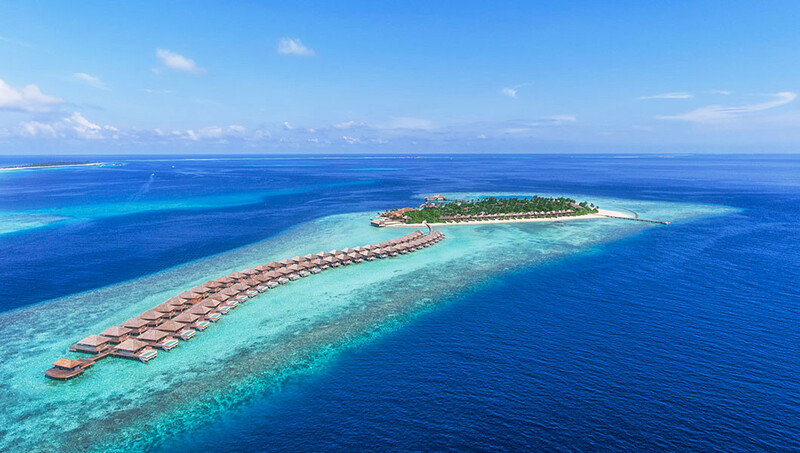 A pearl in the Indian Ocean surrounded by infinite shades of a perfectly blue sea, this is a picture-perfect paradise for an unforgettable destination wedding or renewal of vows ceremony. 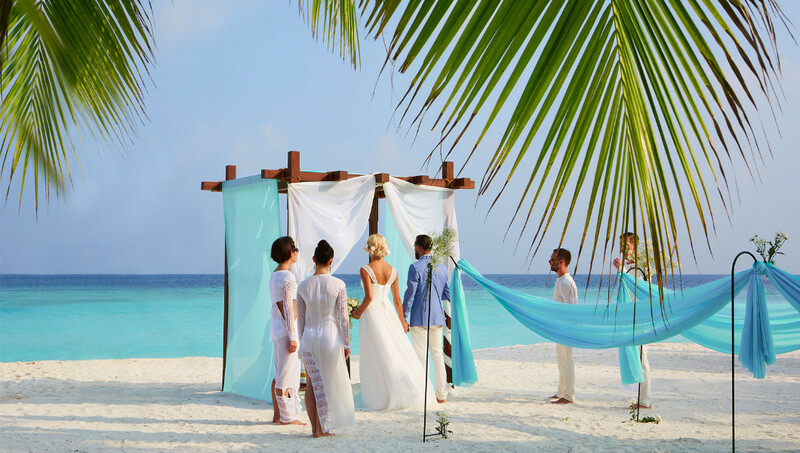 Hurawalhi is geared toward romance, with Wedding Coordinators on hand to help you plan and pull off your special day in paradise, and however you envision your dream wedding or renewal of vows, there’s an experience to match. This idyllic sandbank, just off Hurawalhi, is the perfect location for an unforgettable beach wedding, with only the lapping of the waves interrupting your sweet nothings as you walk barefoot down the flower petals-sprinkled isle. To complement the picture-perfect sandbank, which is surrounded by the most crystal of waters, the package includes a decorated venue, fresh flower bouquet and headpiece for her, buttonhole for him, champagne and wedding cake, three-course candlelight dinner, live rhythms of Boduberu drummers; the indulgence continues the next day with an in-villa champagne breakfast. For sunset lovers, you could choose to tie the knot at Champagne Pavillion, Hurawalhi’s prime sunset-watching spot, or, for the perfect combination of tranquillity and thrill, take it to the ocean and wed your sweetheart aboard a yacht. At the end of the day, a romantic turndown service waits in your tropical sanctuary, be that amid lush vegetation on the beach or propped above the lagoon’s tranquil waters, lending an extraordinary backdrop to a once-in-a-lifetime occasion.